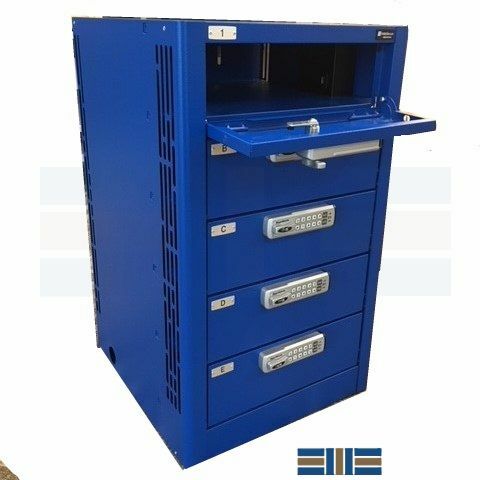 Laptop charging lockers provide individual secure storage for small to medium-sized electronics and personal items. 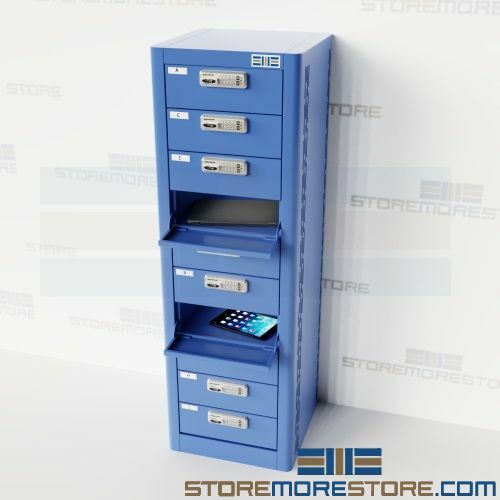 Configure the locker banks to accommodate as many users as you need for temporary or permanent use in libraries, schools, government facilities, corporations, gyms, hospitals, police stations, and more. Outlets in each compartment allow users to store, secure and charge their electronics all at once. 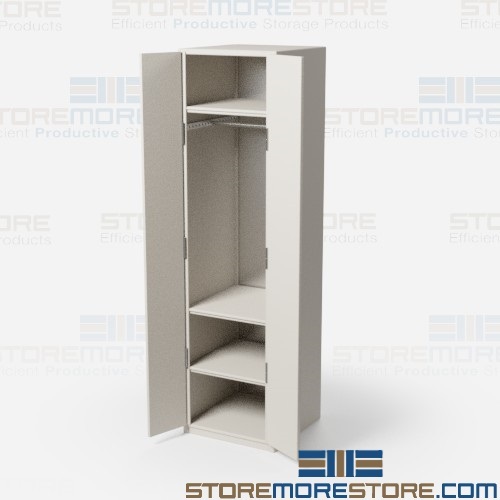 In order to most effectively utilize your space, stack the lockers or install them side-by-side to create the ideal configuration for your application. The ventilated compartments also promote airflow and keep stored electronics cool while they’re charging. During set-up, electronic locks can be set to “station” or “locker” mode. When in “station” mode, a user can use any available locker with a 4-digit code. When unlocked next, the PIN code is erased and ready for the next user. 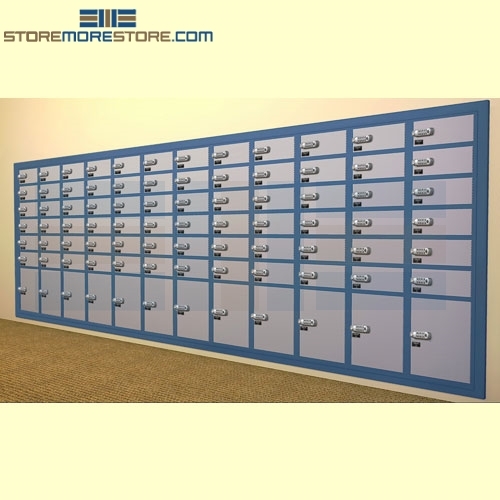 While in “locker” mode, users enter a pre-programmed 4-digit code to use the same locker repeatedly, making them ideal for assigned locker applications. 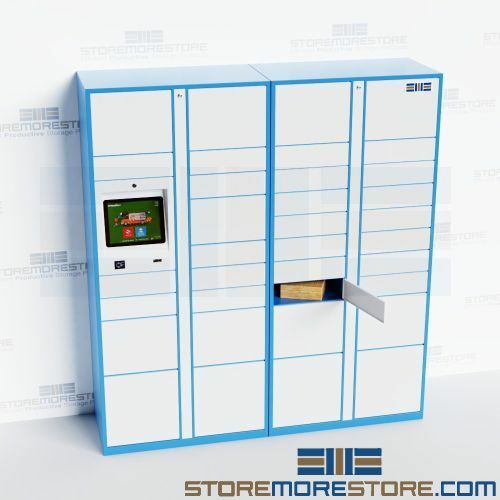 Laptop charging lockers are available to buy online within 20-30 business days with free dock-to-dock shipping included. If you need any assistance or just want some help picking the right solution for you, please call us at 1-855-786-7667. Locker rooms are a valuable place to make impressions on guests, whether that impression is positive or negative. Many people quickly judge the quality of a gym, club, or resort based on its locker rooms. 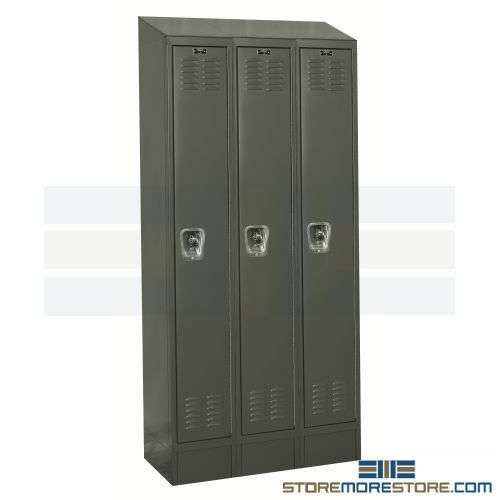 You not only want your locker room to be secure and functional, but you want it to look great, too. 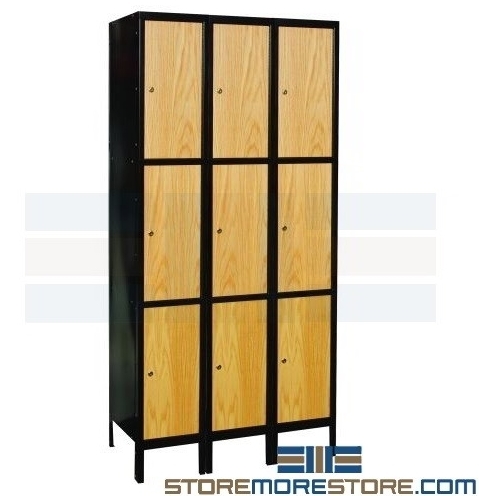 Our country club wood lockers are constructed from elegant and durable natural red oak plywood covered by a red oak veneer and 3 coats of lacquer for an attractive locker room storage solution. 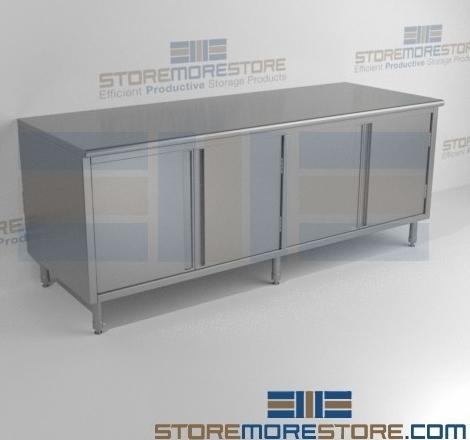 And since the lockers ship completely assembled, all you have to do is set them in place and they are ready for use. See below for additional country club locker features. 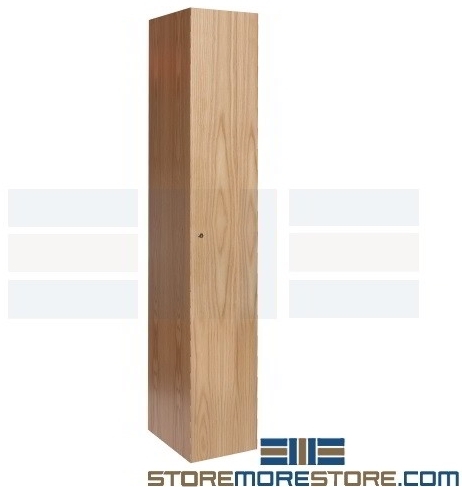 Country club wood lockers are available to buy online and ship in 4-5 business days. 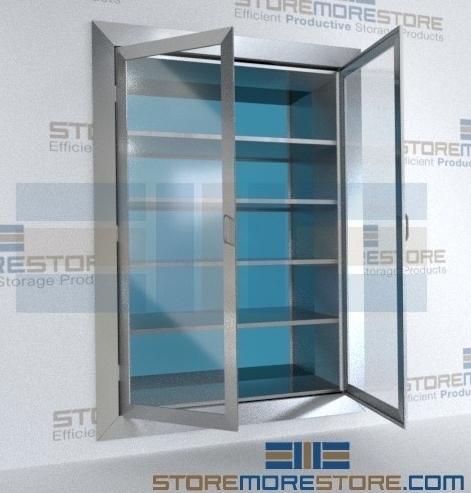 For further assistance, call us at 1-855-786-7667 or send us a message to speak to one of our storage experts. 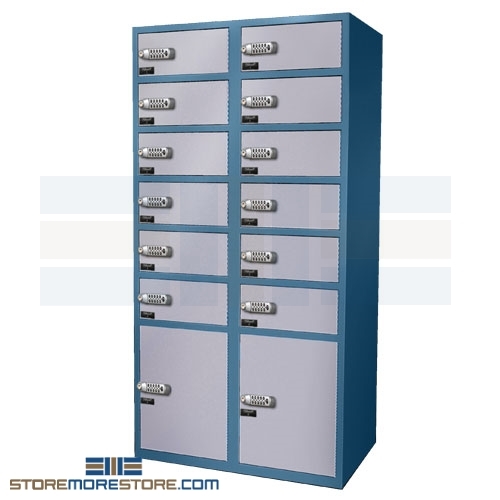 Metal lockers are frequently found in a wide variety of storage applications because of their durability and economical cost. 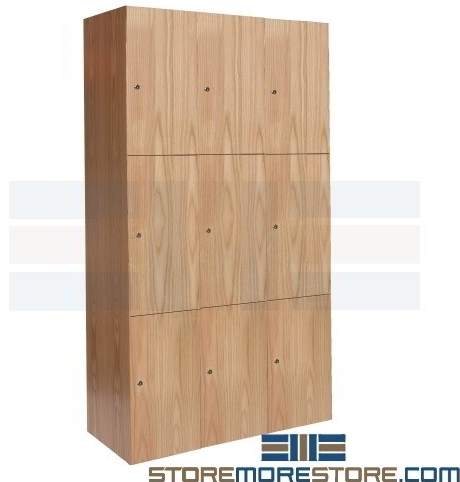 When aesthetics and professional appearances are crucial, wood lockers are a popular choice. However, wood is expensive and not as durable as metal. For storage that requires durability and aesthetics, hybrid metal lockers with wood oak doors allow the best of both worlds. 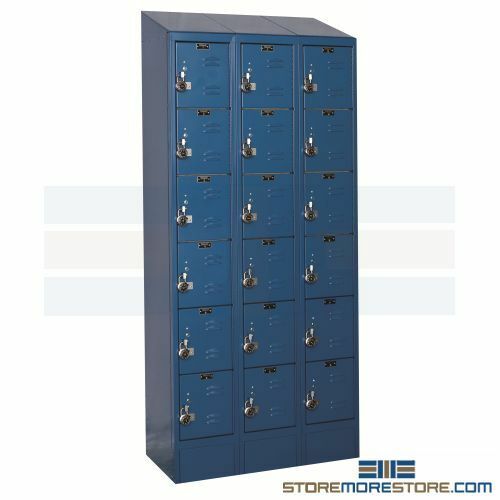 With a durable metal frame combined with professional wood oak doors, the hybrid lockers are an economical and professional storage solution. 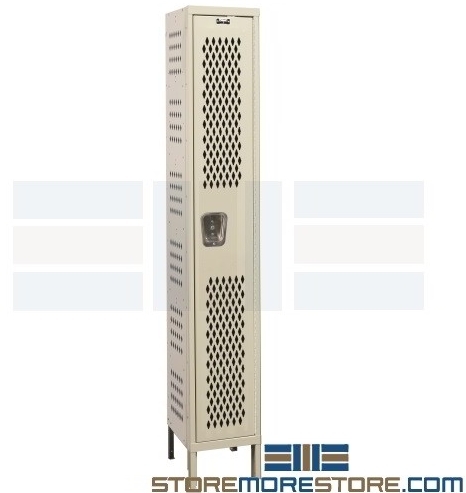 This makes them great for locker rooms, fitness centers, schools, offices, and more. Single-tier lockers include one hat shelf. 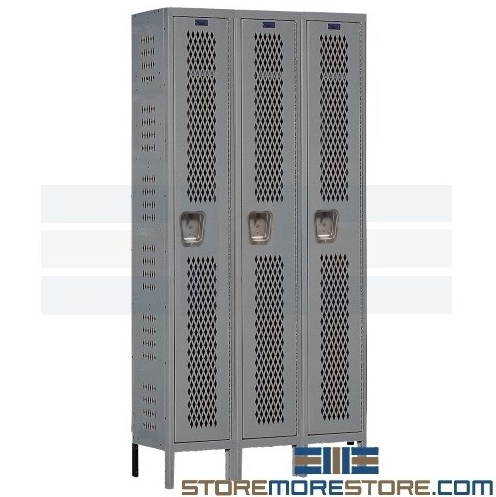 Triple-tier lockers include one double prong ceiling hook. 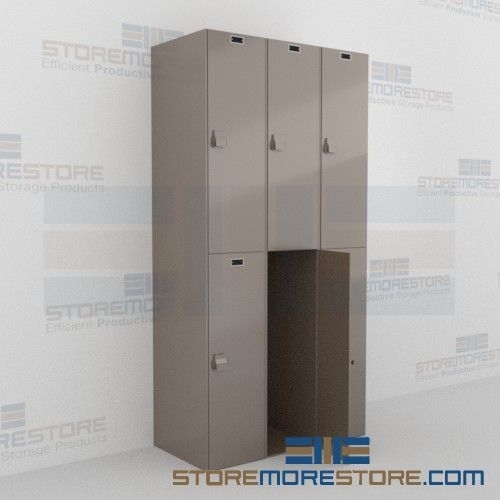 Lockers have 6″ high legs with optional closed metal filler bases available. 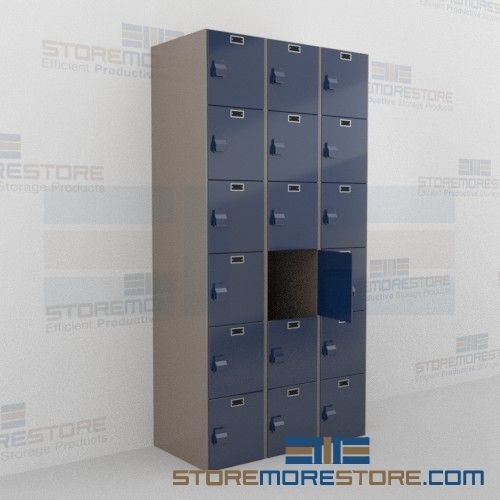 Lockers without legs are available at a nominal charge. 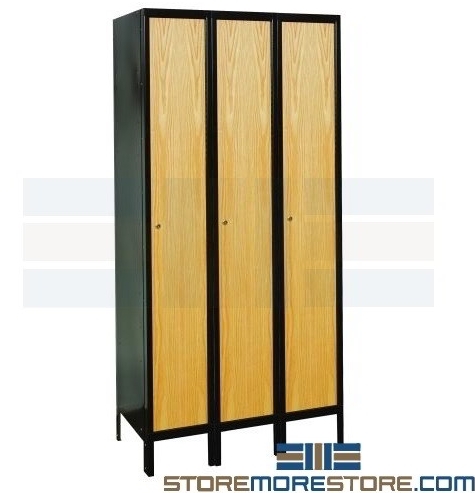 Hybrid metal frame lockers with wood oak doors are available to buy online. 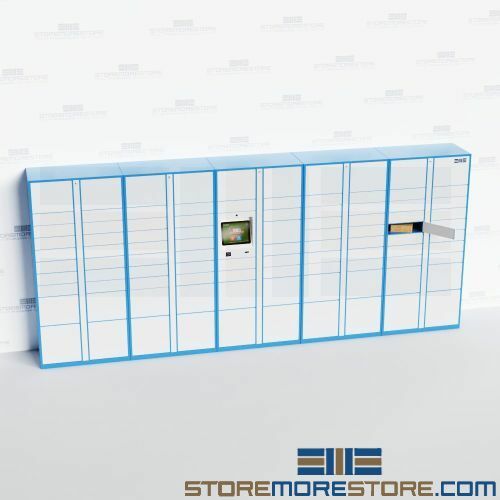 Unassembled lockers ship in 7-10 business days. For further assistance, call us at 1-855-786-7667 or send us a message to speak to one of our experts.